CHARLIE RAMIREZ. Born in San Juan, Puerto Rico in 1980. Lives and works in Ocean Park, PR. Aerial surfer, abstract painter, wheat paste gangster, skate dog. Charlie Ramirez is on the move. 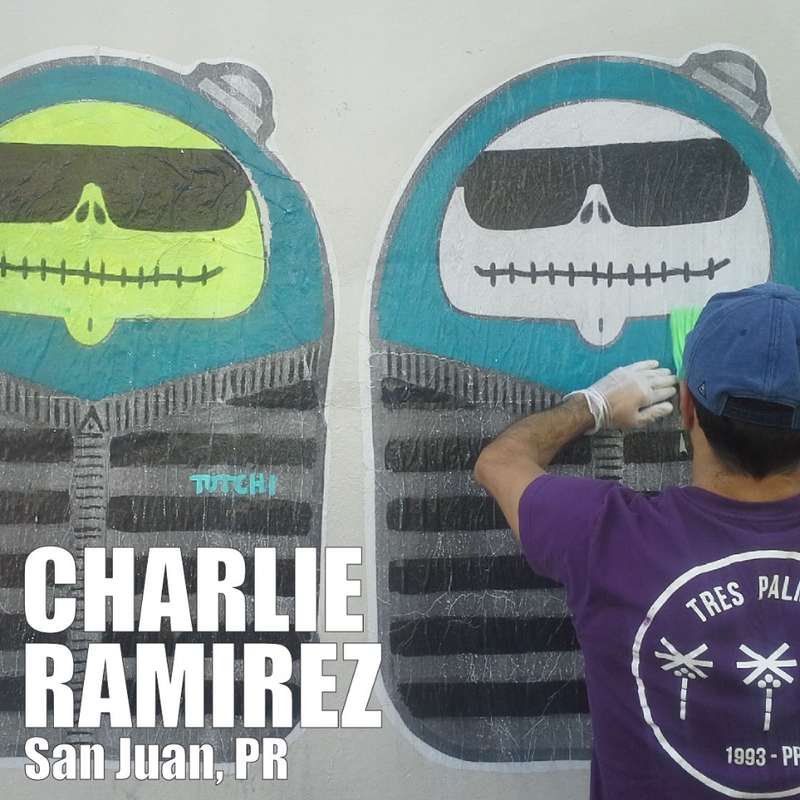 Whether he's flying over "A" breaks, sidewalk curbs, painting in his furious style, or pasting his famous TOTCHI character on walls in PR and Miami, Charlie is in his element, in motion. Charlie's hand painted TOTCHI pieces bring flavor to everything he graces cause whether in camo, slick shades or his beanie, he's TOtally CHIlen. Watch for a TOTCHI coming near you soon.